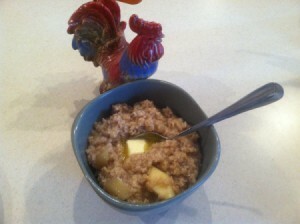 Apple cinnamon oatmeal is a hearty and healthy meal to kickstart your day. This page contains apple cinnamon oatmeal. 3 large apples, any kind will do. I used Granny Smith. Peel and cube 3 large apples, any kind. I used Granny Smith, but any will be great. Try and use up the ones that are going soft. They will still be tasty! Put 6 cups of water into a pot. 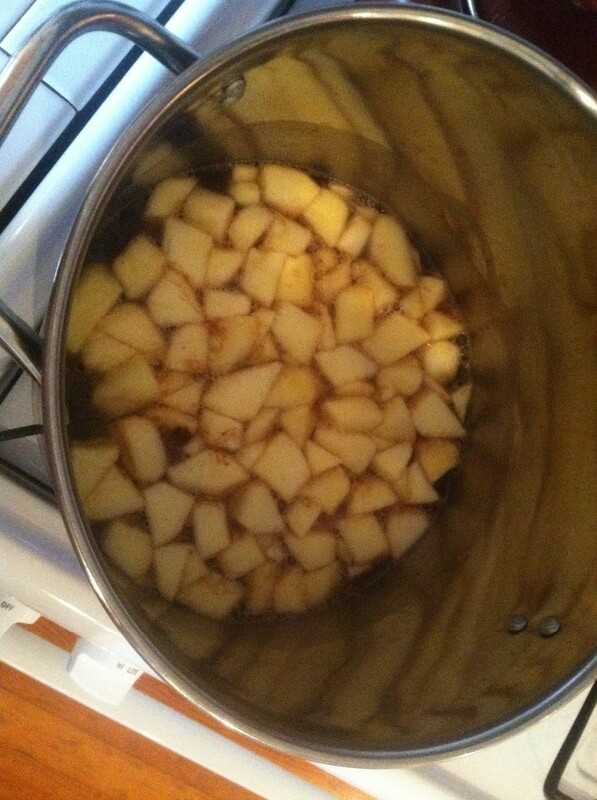 Add apples, 1/3 - 1/2 cup brown sugar (depending on how sweet you like it). Add 1 - 2 teaspoons cinnamon (depending on how "cinnamony" you like it. :) Cook on high until you have a rolling boil. Add 3 1/2 cups oatmeal, quick or regular, either one, stir constantly for about 5 minutes. You could easily halve this recipe if you don't want such a large pot. I just have a lot of people to feed! Sounds yummy and easy. I can't wait to try it. Browning bananas work great, too!